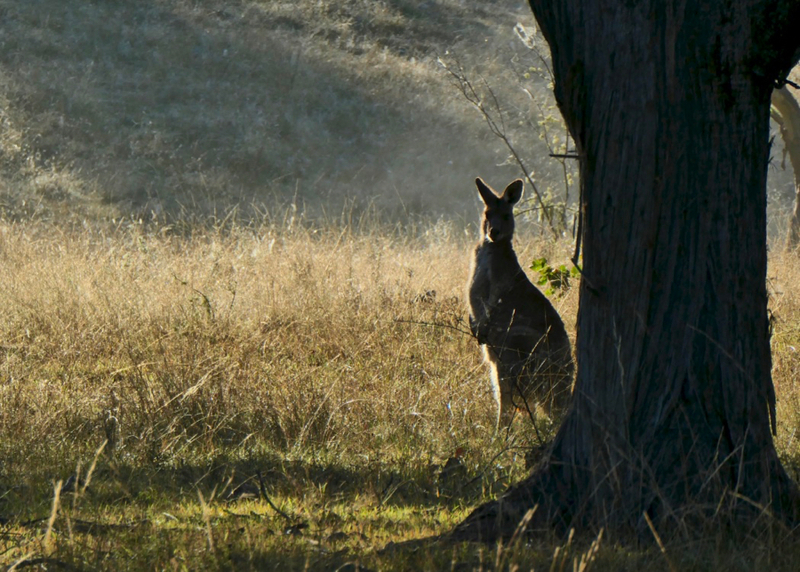 The rising sun’s still low enough to backlight this female kangaroo – she’s keeping an eye on the dogs as we pass by on our morning walk. 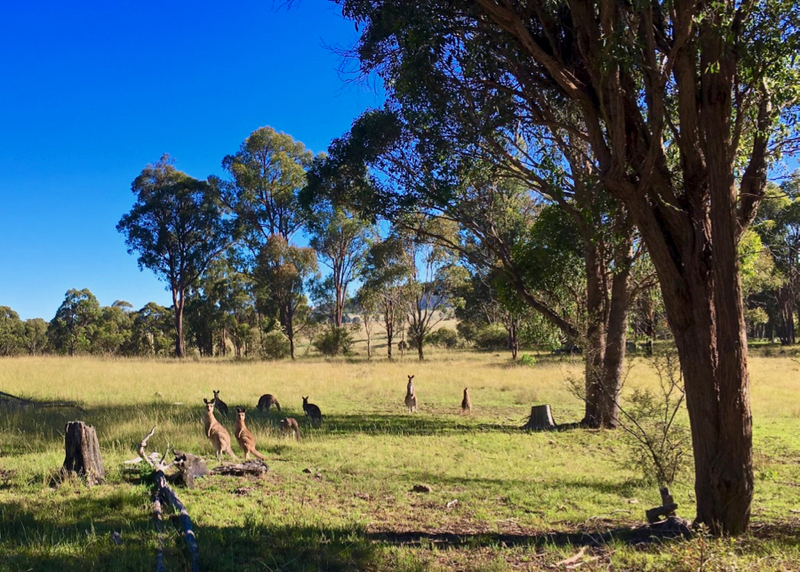 Here’s a mob of kangaroos – a subset of the 40 or so that live around us – just quietly watching me, and dogs, as we pass by. The ‘roos have become quite quiet over the past few months – no longer hopping off when they see us.